The Polycom EagleEye Producer is a hands free intelligent camera system, designed to implement the latest in facial recognition technology into today’s video collaboration spaces. communication through automatic body framing of the meeting participants. The Polycom EagleEye Producer automatically frames the body and movement of meeting participants, then provides key analytical data to enable measuring Return on Investment of your Video Collaboration deployment. By continually scanning the conference space and seamlessly commanding the movable camera to pan, tilt, and zoom to appropriately frame the participants in the room, the Polycom EagleEye Producer is uses intelligent camera tracking to greatly improve the user experience and solve common issues in the meeting space, such as problems with wide angle shots and missing participants, and improving the view of people’s expressions and understanding. The power of the Polycom EagleEye Producer doesn’t stop within the conferencing space. With the EagleEye Producer system, administrators can gain access to powerful analytics and data that can be utilised to measure the real ROI of your video collaboration and video conferencing deployment. During each video call, the system records the number of participants involved in the meeting and reports back to RealPresence Analytics tools. This information can then be used in new real estate planning, to ensure that each video room investment is utilised to its full potential. Furthermore, IT professionals can monitor room usage to ensure that conferences are being attended, the correct training has been given, and equipment is not running in empty rooms. The Polycom EagleEye Producer is interoperable with a wide range of room based video collaboration and video conferencing solutions, including the RealPresence Group Series 310, 500 and 700. The advanced EagleEye Producer camera peripheral can be easily installed into existing meeting rooms and boardrooms, or be part of a new deployment through its elegant mounting options and nesting with the video conferencing codec and camera. 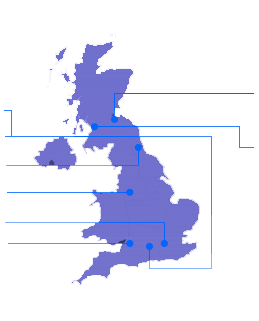 As the UK’s most experienced integrator of Video Conferencing and Video Collaboration Solutions, and specialists in video network infrastructure, interoperability and multi-vendor video/communication environments, VideoCentric can provide the most indepth unbiased advice, solution design, expert installation and training for all your video conferencing needs. 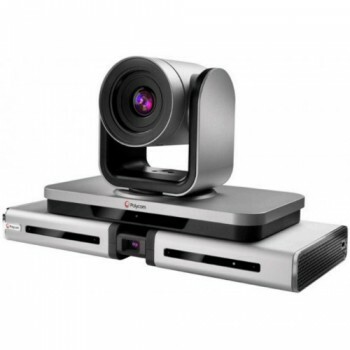 VideoCentric are fully accredited with Polycom in Video Endpoints, Clariti, Installed Audio and Infrastructure, with the full Polycom RealPresence Infrastructure integrated into our own communications platform, alongside Cisco VCS and CUCM, Microsoft Skype for Business and LifeSize Cloud, for testing, demonstration and long-term support. VideoCentric have also scooped top Polycom awards for extensive support and services offered to customers. Our Video Conferencing demonstration suite includes Polycom HDX and Group series endpoints, Polycom desktop video conferencing software and Polycom EagleEye cameras, integrated and available to compare against other world leading video conferencing endpoints and software. Find out more about VideoCentric and Polycom’s partnership here. Contact us to find out more about the Polycom EagleEye Producer.